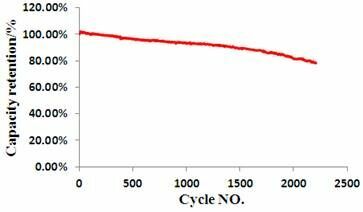 conclusion 1 LiFePO4 battery has higher energy density than that of lead acid battery. 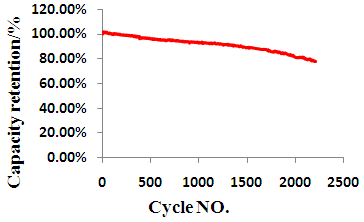 conclusion 2 LiFePO4 battery has much better cycle life. 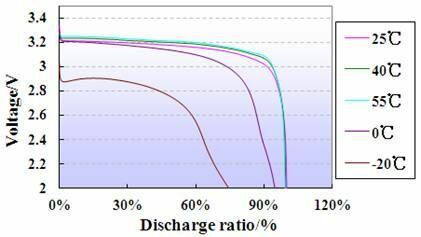 charge rate ≤0.3C 0.5-1C LiFePO4 battery can bare quick charge, eg., 2hs full charge for LiFePO4 battery, while more than 6hs for lead acid battery. 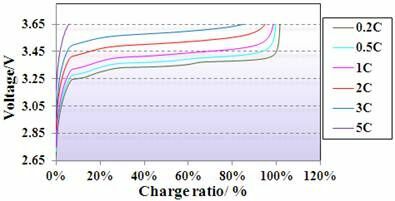 conclusion 3 LiFePO4 battery has higher charge & discharge rate. 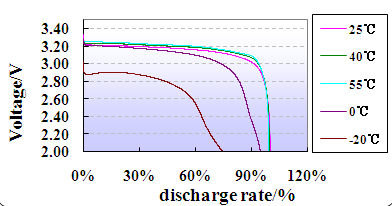 conclusion 4 LiFePO4 battery has lower self-discharge rate. conclusion 5 LiFePO4 is more eco-friendly. conclusion 6 LiFePO4 need no maitenance. conclusion 7 LiFePO4 has built in BMS for better control. optional feature bluetooth connection Topband LiFePO4 allow users read battery info. conclusion 8 Topband LiFePO4 support bluetooth connection. conclusion 9 Topband LiFePO4 has longer warranty. conclusion 10 LiFePO4 is more cost effective in long run. LiFePO4 battery is better than lead acid battery from different points of view. 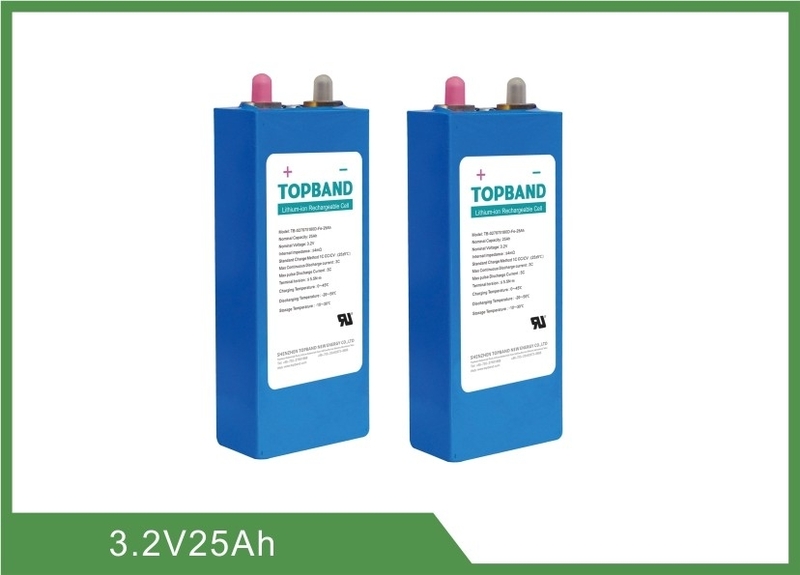 This Product Specification describes the technique requirements, test procedures and precaution notes of prismatic type Lithium iron phosphate rechargeable cell, manufactured by SHEN ZHEN TOPBAND CO.,LTD. 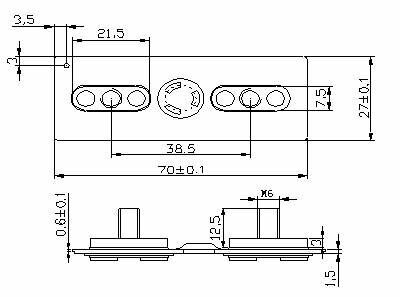 3.1.1 Unless specified otherwise, all tests stated in this Product Specification are conducted at temperature 25℃±5℃ and humidity 15%~75℅RH, and atmospheric pressure 86 kPa~106kPa. 3.1.2 Unless specified otherwise, all the product characteristics are tested with the products less than one month from shipping date and unused. In ambient temperature of 25℃±5℃, 1C discharge the cell until the voltage drops to 2.0V, standby for one hour, then charge at a constant current of 1C until the voltage is 3.65V, then charge at a constant voltage of 3.65V until its current decreases to 0.05C, standby for one hour after charge. 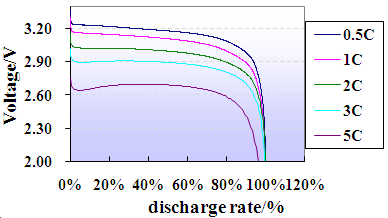 A cell is charged in accordance with 3.2, and stored in high temperature chamber at 55℃for 5 h, then discharged to cut-off voltage at a constant current of 1C. After that, fetch out the cell and place it in the ambient temperature of 25℃±5℃ for 4 h, then check its appearance. A cell is charged in accordance with 3.2, and stored in certain ambient temperature for 24hours,then discharged to cut-off voltage(1.8V) at a constant current of 1C. After that , fetch out the cell and place it in the ambient temperature of 25℃±5℃for 4hours. 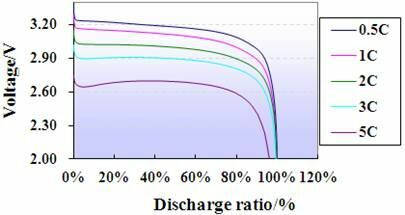 c, constant discharge with 1C current till 2.0V. A cell is charged in accordance with 3.2, then discharged to cut-off voltage at certain current in an ambient temperature of 25℃±5℃. A cell is charged in accordance with 3.2, and then repeat the following procedures for 5 cycles, then check the cell's appearance. A cell is charged in accordance with 3.2, then stored for 6h at a vacuum of -90KPa, after that put the cell in room temperature for 6h, then check the cell's appearance. 2.The voltage is not less than 3.2V. All below tests are carried out on the equipment with forced ventilation and explosion-proof device. 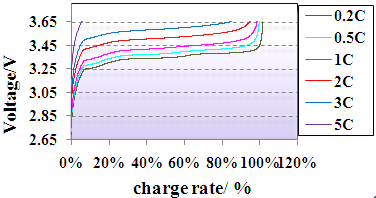 Before test, all cells are charged in accordance with 3.2, and stored 24h prior to test. A cell is tested in accordance with 3.2, then 1C constant current charged till the voltage reaches 1.5 times of the specified end-off charge voltage, or the charge time reaches 1h, then stop charge, and observe for 1h.